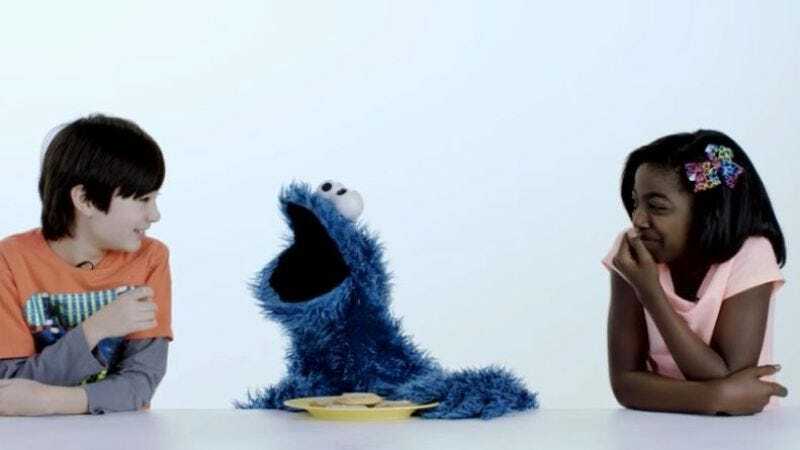 When it comes to cookies, one expert immediately comes to mind: Sesame Street’s perennial Cookie Monster (who apparently also frequents our comment boards from time to time). So to mark the 100th anniversary of the cookie (who knew? ), Bon Appétit is offering this endearing and, yes, educational video in which Cookie Monster schools youngsters Billy and Megan on the long history of his favorite snack. It’s actually interesting to discover which cookie is most aligned with which decade (mallomars = 1910, chocolate chip = 1930s, nutter butters = 1960s), but it doesn’t make much difference to Cookie Monster: He loves them all. Billy and Megan try to imitate his mania, but there’s only one Muppet who can flatten an entire “cookie cake” in only a few seconds.